Located in USA & Canada, our managed datacentres can provide your business with a secure network infrastructure that will not only protect your data, but also dramatically reduce your operating costs and maintenance headaches. We fully own and operate our own infrastructure, enabling us to be in complete control of the systems we host and not rely on other providers. Our unique hybrid environment allows us to offer both virtual and physical servers in the same private and secure network for each client. Consolidate servers, improve availability, enhance performance and optimize capacity with the world�s leading virtualization platform. iWebCorporate Solutions is your Independent Provider of Hosted Exchange Servers, It is the clear choice for your business email. Avoid the perpetual hidden costs of paying for individual email boxes. We'll host and manage your Private Exchange Server. iWebCorporate Solutions cloud servers reduce your energy usage, maximize server uptime, improves security, decrease management and maintenance requirements, deliver redundancy and optimize performance. Your new virtual server will perform even better than your current infrastructure and requires no expertise to maintain—just an Internet connection. If performance lags or a server fails, IWebCorporate Solutions automatically migrates to a redundant server without any interruption in service. • Guaranteed speed and performance, with secure tenant isolation and IOPS control at the VM level. • Replication of critical workloads across datacenters. • Applications and environments secured through data encryption and advanced security features. 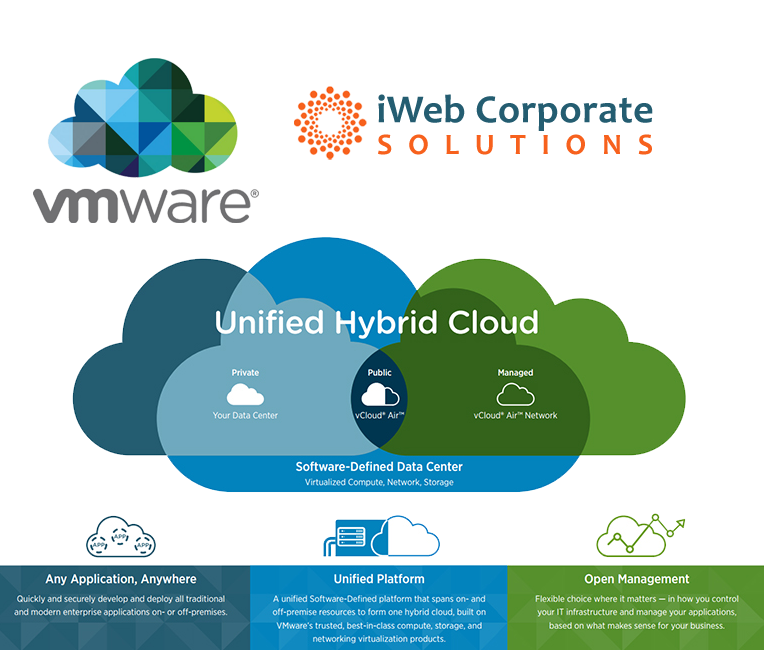 • Powered by enterprise-grade servers and the industry-leading VMware virtualization platform residing within iWebCS owned & operated infrastructure. • Standard and custom server sizing defined by customer requirements. Have standby virtual machines of mission critical servers in a VMware ESXi hypervisor for cost effective with standby availability protection. Have standby virtual machines of all Windows and Linux machines' backups on the network with one single. We support the paid and free licence versions of VMware ESXi and Microsoft Hyper-V.